Do you have an underlying belief that it’s NOT SPIRITUAL to charge GOOD MONEY for your spiritual soul centered services and precious time? Do you have HEALING GIFTS and skills that you’ve been hiding and you know that it’s time to SHARE THEM WITH THE WORLD? Do you feel like you CAN’T KEEP doing things the way you have been but you don’t know a CLEAR WAY OUT? Are you feeling DRAINED and BURNT OUT, and you know you are ready to stop working side jobs so that you can finally do YOUR SOUL WORK IN THE WORLD? Are you afraid to even talk about your DEEPEST SOUL LONGING and knowing for fear of being MISUNDERSTOOD? Do you feel like you’re caught in the collective spell and oppressive trance that says that HEALERS, LIGHTWORKERS, & SOUL CENTERED ENTREPRENEURS can’t thrive and support themselves financially through sharing their MYSTICAL GIFTS, skills and talents? IF YOU’VE SAID “YES” TO ANY OF THESE QUESTIONS, THEN THE ABUNDANT HEALER IS RIGHT FOR YOU! 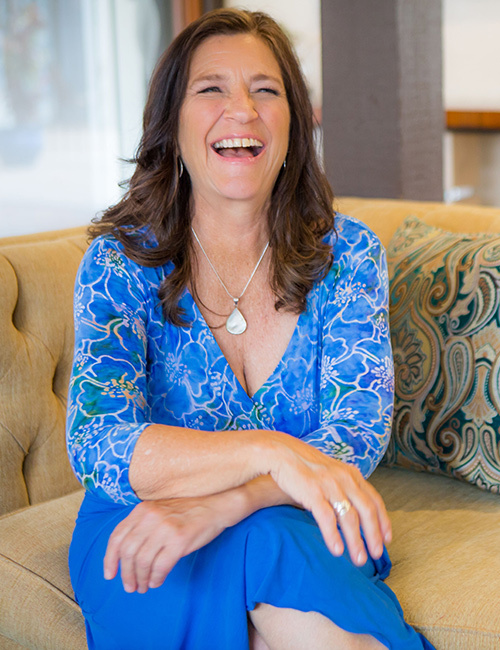 with me to unearth and clear away your old beliefs and limiting money stories, re-dream and re-create a totally new story of infinite abundance and financial freedom doing what you love! ARE YOU READY TO ACTIVATE YOUR SOUL’S WILD ABUNDANCE & FINANCIAL FREEDOM BY DOING WHAT YOU LOVE? Unearth the PURE GOLD that is hidden in your SOUL GIFTS! Just imagine what your life would be like if you opened up NEW PATHWAYS OF ABUNDANCE this coming year by doing your SOUL WORK. THE ABUNDANT HEALER is for healers, light workers, soulful entrepreneurs and anyone else who wants to make excellent money doing what they love! Take a liberating journey of deep divination where you’ll discover and release the root causes that may be preventing you from claiming your soul gifts, charging well for your precious time and services, and abundantly thriving as a giver, healer, lightworker and/or soul centered entrepreneur. Break free from old money stories. Open your heart with the gentle medicine of deer. Start dreaming in your soul’s wild abundance! Liberate yourself from false identities around money. Powerfully ground your new abundance story and vision. Journey with bear to tap into your deep feminine wisdom, intuition and soul dreams. Align with the earth’s dreaming. Tame your mind and thoughts. Embody courage, confidence and wisdom! Dare to speak your truth, no matter what! Soar on the wings of spirit. Open new possibilities and pathways to your infinite wild abundance and financial freedom! HOW MUCH IS YOUR CURRENT MONEY STORY AND SITUATION COSTING YOU? Just imagine for a minute how quickly you could turn that all around, and start attracting new avenues of abundance into your life right away if you changed your money story! Imagine how liberating it will be to take your inner warrior sword and powerfully clear away all your old limiting beliefs and scarcity stories and re-vision a whole new abundance story, mindset and dream! The Healer’s Guidebook to Infinite Abundance and Financial Freedom will be well worth your investment and pay for itself in no time, if you do the work! Not only that, you can always revisit the course Modules and Pathways, over and over again. Susan Jenkins is a Shamanic Priestess, Spiritual Midwife, Medicine Dreamer who uses shamanic spirit and earth based practices to help people heal, empower themselves, and align with their soul essence and purpose. Susan received her unique gift of sight over three decades ago when she faced a serious health crisis that opened her to the realms of spirit and her shamanic path. She journeys to receive wisdom, inspiration and guidance from the earth, spirit guides, power animals, the elements and forces of nature. A heart-centered light-worker, Susan works with luminous beings to clear energies, heal, uplift, and restore balance and well-being. Clients report profound healing and positive shifts from her work. Susan performs land and home clearings and works with clients in her private and yearlong group programs, dayong intensives and retreats. I’m Ready to Activate my Soul’s Wild Abundance! Thanks for your interest in my course! If you have any questions please don’t hesitate to contact me.